Church organization according to Bible doctrine and the First Amendment: The Website for Churches Who Have Not Betrayed Their First Love | Churches under Christ Ministry of Charity Baptist Tabernacle of Amarillo, Texas. A Christian Lawyer explains how a church in America can remain under the Lord Jesus Christ and Him only. "And hath put all things under his feet, and gave him to be the head over all things to the church" (Ephesians 1.22). Welcome to the website that will give a Bible believer all he needs to know to please the Lord and Glorify Him by organizing a church according to the Lord’s New Testament principles, a church under Christ, a church of Christ. May the Lord richly bless you through this website. The purpose of this site is to glorify God by providing resources for believers and churches who want to learn and apply the biblical principles regarding church, state, and separation of church and state with emphasis on the local visible church of Christ as opposed those churches (assemblies of people, ekklesias coming together) who are not under Christ. 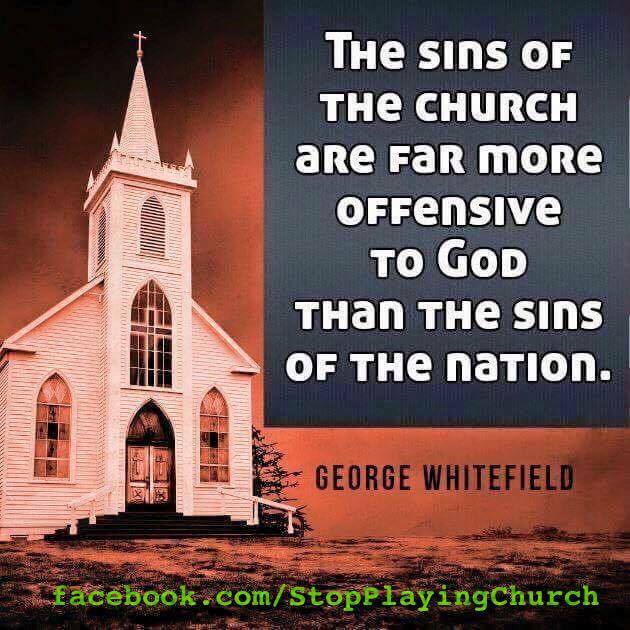 The latter include churches who have voluntarily placed themselves partially or wholly under a head other than the Lord Jesus Christ, for example, corporate 501(c)(3) or 508 churches. Oh how He loves us. Cannot we at least obey and serve the One who stepped down from heaven to save individuals, who loved the church and gave Himself for it? This website provides essays, books, interviews, radio broadcasts, sermons, articles, etc. relating to the issues involving church, state, and the relationship of church and state. These resources will educate the believer who wants to understand the theology (true theology in the word of God), history, law, etc. concerning the preeminent doctrines of church, state, and separation of church and state (as opposed to separation of God and state). This website will be invaluable to those churches who are seeking to glorify God and please the Lord Jesus Christ by organizing according to biblical principles, according to the highest and controlling church and state law. Unlike believers and churches in many countries such as China, Afghanistan, Iran, North Korea, Columbia, and many other nations, American churches and Christians can please the Highest Authority by complying with His New Testament principles for church organization and civil government law as well. A church can choose to be under God only while protected by man’s highest law, the First Amendment to the United States Constitution and corresponding state constitutional provisions, and without persecution. Man’s highest laws regarding religion in America correspond to God’s New Testament laws regarding the organization of His churches. The highest American law, in accord with Bible principle, protects churches who choose to do things God’s way by remaining under Christ Jesus only, who choose not to become legal entities such as corporations, unincorporated associations, charitable trusts, corporations sole, or 501(c)(3) tax exempt organizations. While operating solely under God, churches can still use all properties (real estate, vehicles, etc.) that a church organized as a legal entity utilizes. While so doing they will they will not deny the power of God; they will not grieve God the Father, God the Son, and God the Holy Ghost by putting themselves under another authority; they will still be free to follow all God’s directives for the organization, position, relationships, privileges, and duties of the church; they may preach on abortion, marriage, politicians, politics or on any subject they desire without any governmental oversight or interference. That said, Christians should have the highest of integrity. They should be ideal citizens. God, the Highest Authority, has laid out, in His Word, principles for and the jurisdictions of individuals, families, churches and civil government. Should a Christian or Christians commit a crime or tort, God gives civil government jurisdiction to deal with the offender. God’s children and churches are not law breakers; they are law keepers. They obey the highest law first and man’s law second. By so doing, they are ideal citizens of both heaven and earth. May the Lord bless you and the church you are a member of as you seek to glorify Him in these and all matters. Click “THE QUESTION that CHANGED MY LIFE” to read the remainder of the article. “Christ loved the church and gave himself for it” (Ephesians 5.25). This website is dedicated to Him who is altogether lovely, the Lord Jesus Christ. To understand a little how lovely He is, click here to go to The Loveliness of Jesus. This website is dedicated to those believers and churches who not only understand, or want to understand, the Bible doctrine of the New Testament church but also want to please the Lord and glorify God by applying that doctrine in the organization of the local visible assembly. Click here to go to articles and essays on the church. Click here to go to Articles, Essays, and Other Resources Related to the Doctrine of the Church, Incorporation, 501c3, Etc. Click here to go to Essays on The Bible Trust Relationship: Links to Essays and Other Resources. Click here to go to a concise teaching on the meaning of church corporate, 501c3 or 508 status, organization as a trust, false reasons given by pastors and other men of God for church incorporation, etc. Separation of Church and State/God’s Churches: Spiritual or Legal Entities? I think my church is a 501c3 incorporation I want to help my church out of this. I’m a believer in the Lord Jesus Christ that regularly attends this “church” with a sincere local body of believers but I’m not a member of it because I don’t believe membership is biblical. What can I do to help this process if my preacher is willing to repent of this? And can I help start the “church” moving into the right direction? Give me a call. My phone number is 512-785-8445. If you don’t get me, leave a voicemail and I will return your call asap. Pay Caesar what is Caesars… Well, after giving out whole heart, mind and soul to God as commanded…What is left for Caesar??? If one establishes a church entity using a Church Establisment Affidavit, which makes the church a separate entity free and standing alone. How then can the administration of banking and managing of the business affairs of the church accomplished without the 508 c 1a? Please advise, as it is my desire and goal to be established only under the law of the kingdom. You have a great desire. As you may know, desire does not determine spiritual and earthly reality. The only Church Establishment Affidavit I have seen was deeply flawed. It did not make the church a separate entity free and standing alone. I have examined that Affidavit at: https://jeraldfinney.wordpress.com/2015/02/05/chapter-2-analysis-of-church-establishment-affidavit/ The proponent of that Affidavit is misleading people and churches and does not know what he is talking about. I explain, in my writings, how a church can organize as a spiritual entity only, under God only according to the New Testament doctrine of the church and as protected by the First Amendment to the United States Constitution. I explain church incorporation (sole and aggregate), church 501c3 and 508 status, the history of the First Amendment, etc. For an examination of the use of the corporation sole by churches, see https://jeraldfinney.wordpress.com/2015/01/31/introduction/. One needs to understand what he is doing in order to please God. The Word of God commands God’s children to proceed with knowledge, understanding, and wisdom. In order to answer your question fully, I need to know all the facts. I need to examine your “Church Establishment Affidavit” and any other church organizational papers. 508 status puts a church in the same position she would be in had she claimed 501c3 status. If you will read and study my writings and teachings, you will find the answers to your questions. I suggest that, before reading what I have to say, do in depth studies of the Word of God. That will lead one to salvation first (if he is not saved), and then to an understanding of the deeper things of God. 2 Timothy 2:15: “Study to shew thyself approved unto God, a workman that needeth not to be ashamed, rightly dividing the word of truth.” For more on this, see my written studies on one’s responsibilities as a believer after salvation at https://jeraldfinney.wordpress.com/gods-plan-of-salvation/after-salvation/. My written comments, which are supported by cited Scripture taken in context, follow all the introductory material on that page. The links supplied in the above article are broken. Can they be repaired or redirected? Looks like interesting articles. Thanks! I tried all the links and they all worked. I assume you were referring to the “Welcome” page.